I've been looking for a few weeks for some small but powerful speakers to travel to the beach in the garden and even out and about when i go to random places for picnics with TJ. This week it looks like I've found the perfect one. 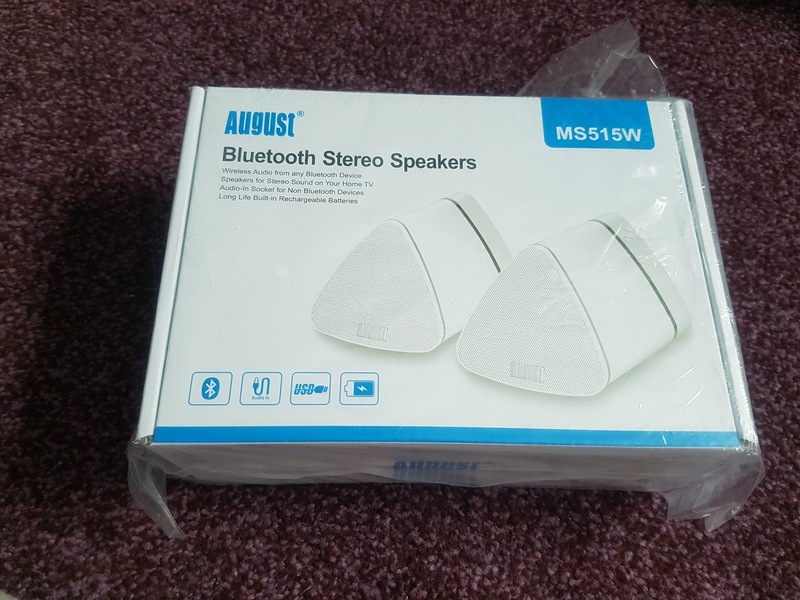 They are wireless bluetooth speakers that can be attached to the TV, PC and mobile phone or anything else via a headphone socket if needs be. 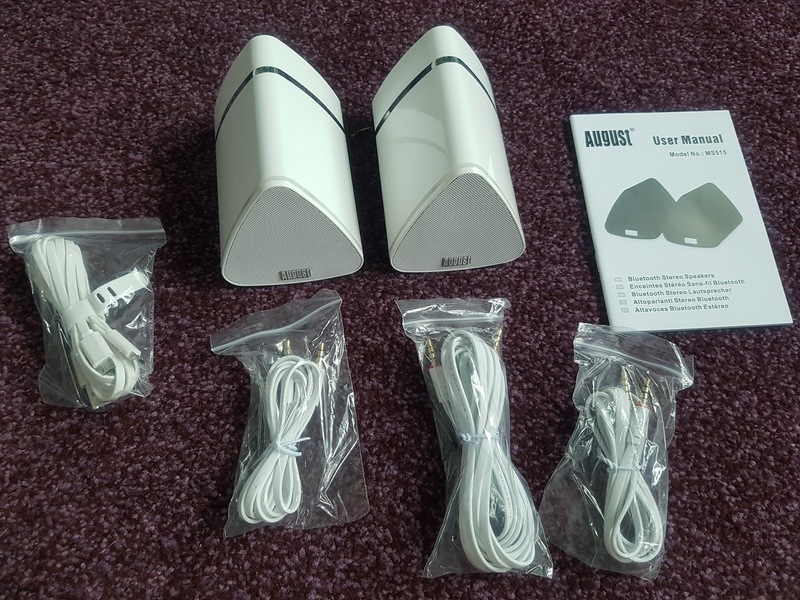 These speakers can be purchased in black or white. I Choose mine in white as it matches my furniture and the rest of the houses electrical products. Once ordered I received within a few days well packed with an appropriate sized box which it was a novelty as I've found lately that the boxes come in stupidly large boxes. When switching the speakers on to begin with there is a blue and a red light when charging. Connecting the speakers to the PlayStation 3 was a little tricky, whether that was down to me not knowing how to use the PlayStation or it was just a tricky combination I don't know. The instructions are easy to follow and as clear as can be. After faffing around for a few minutes I managed to hook them up via the bluetooth and away we went. The sound coming from the speakers were clear and crisp. The bass on then did not go to waste. 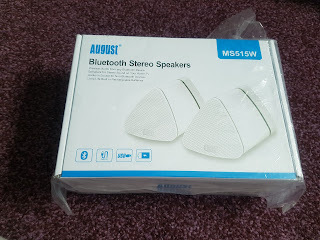 I've had speakers before that left a a funny ringing sound after certain sounds but I can honestly say that with these I do not hear it. Even when the speakers are at full volume there is no rattling after sound. 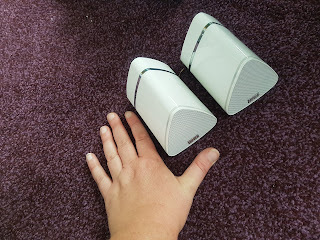 The speakers themselves are no bigger then then my hands. and can fit in my hand bag easily without any problems. The speakers are quick and easily charged with the use of a USB port. I'm so pleased with these I know what I'm giving my brother for christmas ;).